This figure-hugging strapless evening gown with its dramatic fan-pleated neckline is so stunning. The light accent of Oriental peonies at the waistline provides a perfect contrast to the neckline and the flaring of the gown below the knees. 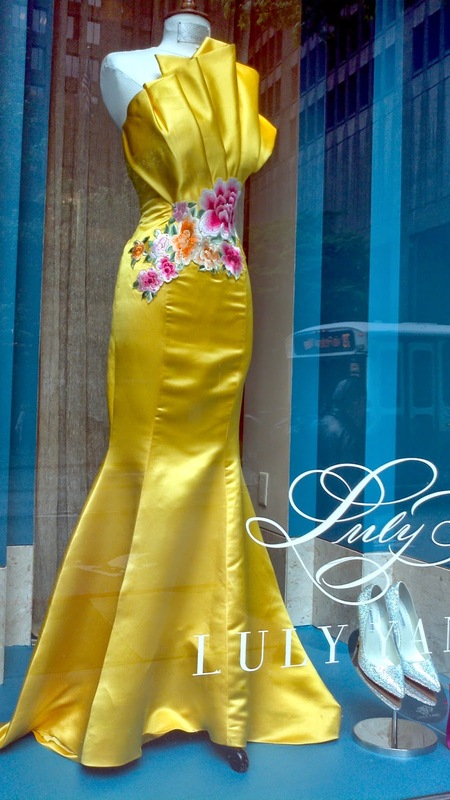 Spotted in the window of Luly Yang in downtown Seattle.